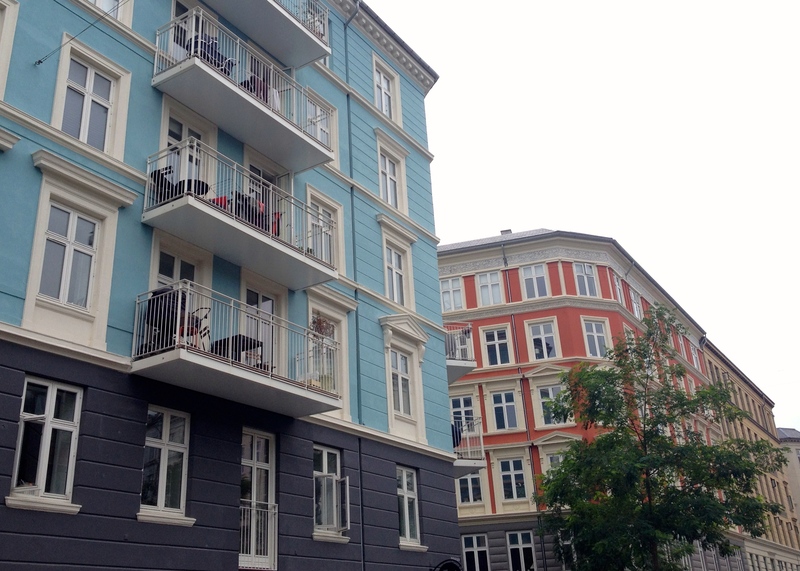 Copenhagen is one of the world’s most sustainable cities. 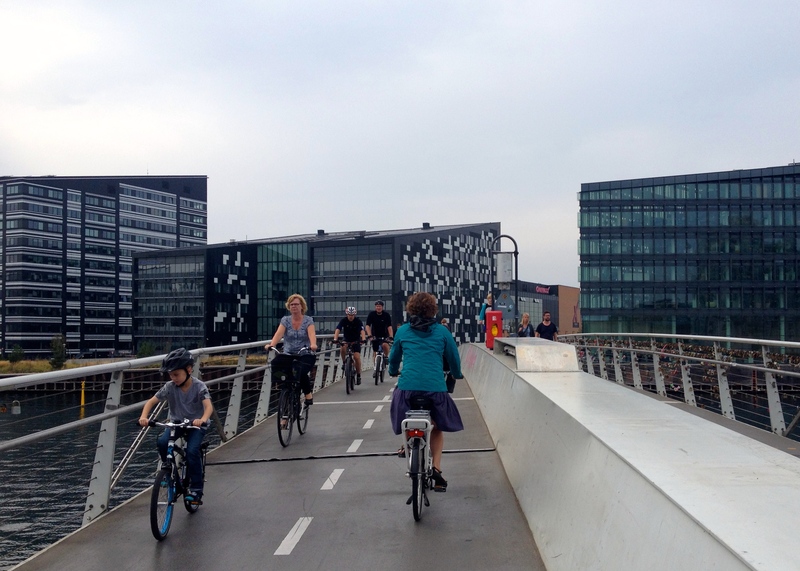 It’s famous for its organic and local food procurement, its cycling culture, its public planning, and its climate change adaptation efforts (see Copenhagen Climate Adaptation Plan). This city is too inspiring for a single blog post, and indeed I’ve written about it several times before. Still, every time I visit this fine fine city I discover a few new things – especially when enjoying a city tour with a local friend. A few that are on one hand distinctly Copenhagen; and on the other good examples for other cities to follow Copenhagen’s lead – once again. 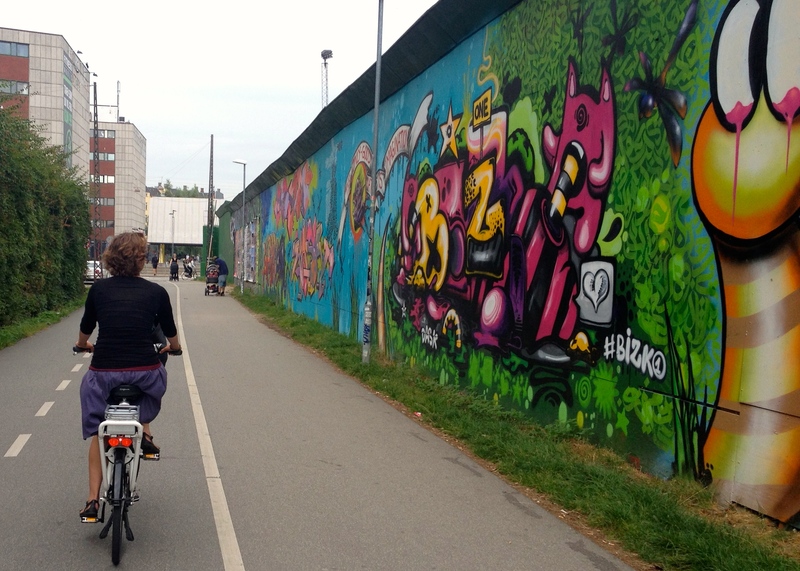 Copenhagen is a world-class cycling city, even inspiring cycling innovations (e.g. Copenhagen Wheel). The city has long been famous for its segregated cycle paths (e.g. placing parked cars between cyclists and moving vehicles). In recent years though, it has made additional efforts to separate bicycles from motor-vehicle traffic. The city has an expanding green cycle way and bicycle-only bridges, and invites artists to paint construction sites to be more appealing for the passing cyclists. Such efforts make cycling more convenient by reducing transport time, and more enjoyable by providing aesthetically pleasing (and safe) cycle routes: over water, through parks or near public art installations. 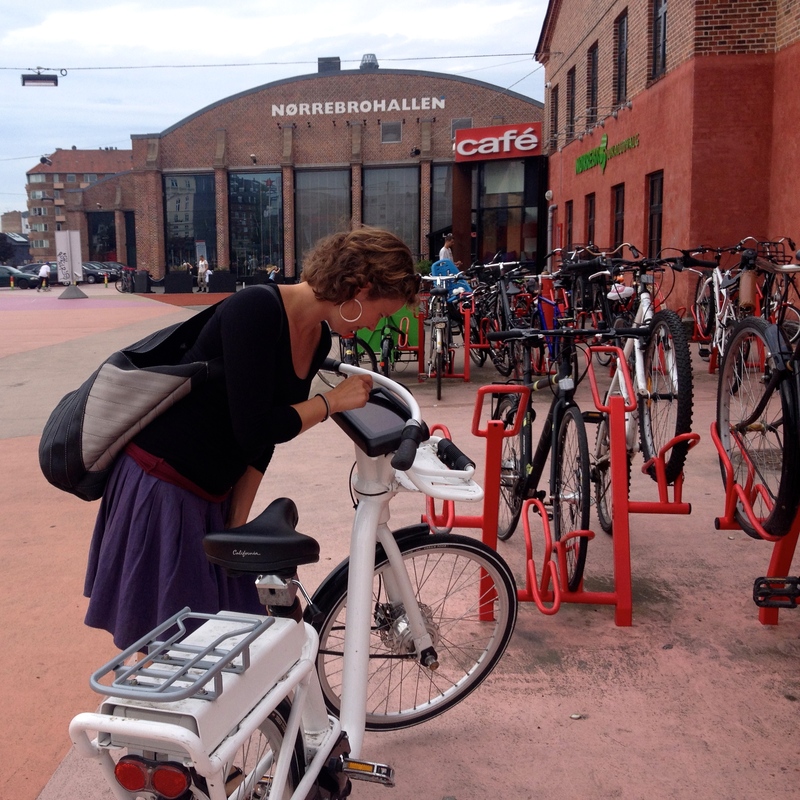 Copenhagen also recently introduced an innovative version of the popular bike-sharing scheme. Until now, many cities have adopted systems similar to Paris’s Velib, with durable (heavy) bicycles parked at bike-docking stations located in different parts of a city to increase convenience. While I am a fan of these schemes, these rental bikes are often clunky and not so easy to ride. 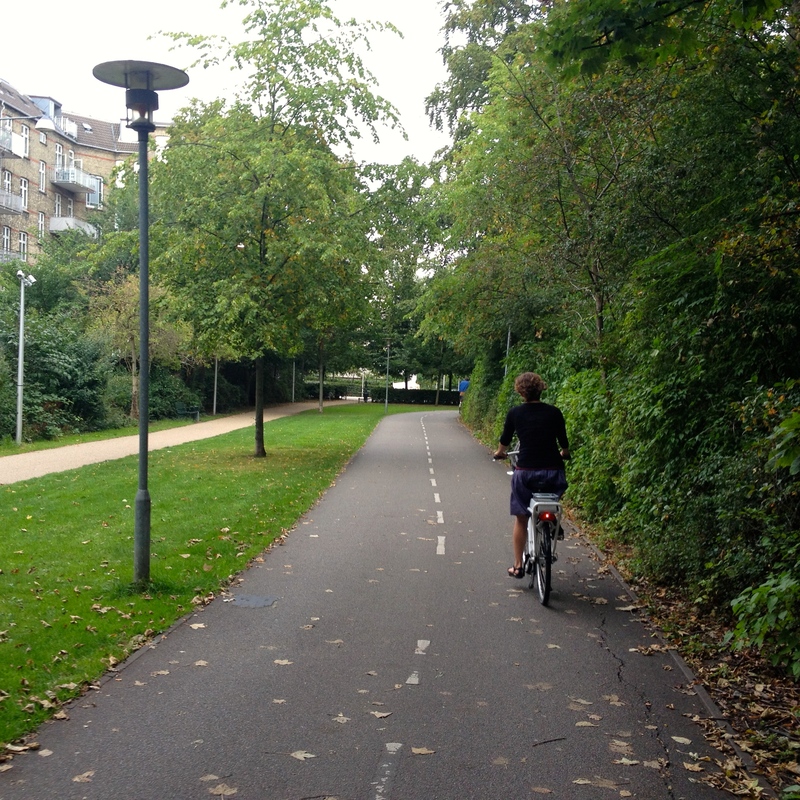 Copenhagen recently rolled out its own version: Bycyklen. Still heavy, they are also electric – helpful in the wind and to peddle such a clunky bike. They are also equipped with GPS, providing directions to docking stations, links to the public transport system, as well as an internal locking device. Having tested Bycyklen, it offers a useful solution to the clunky nature of these (otherwise wonderful) bike-sharing schemes. 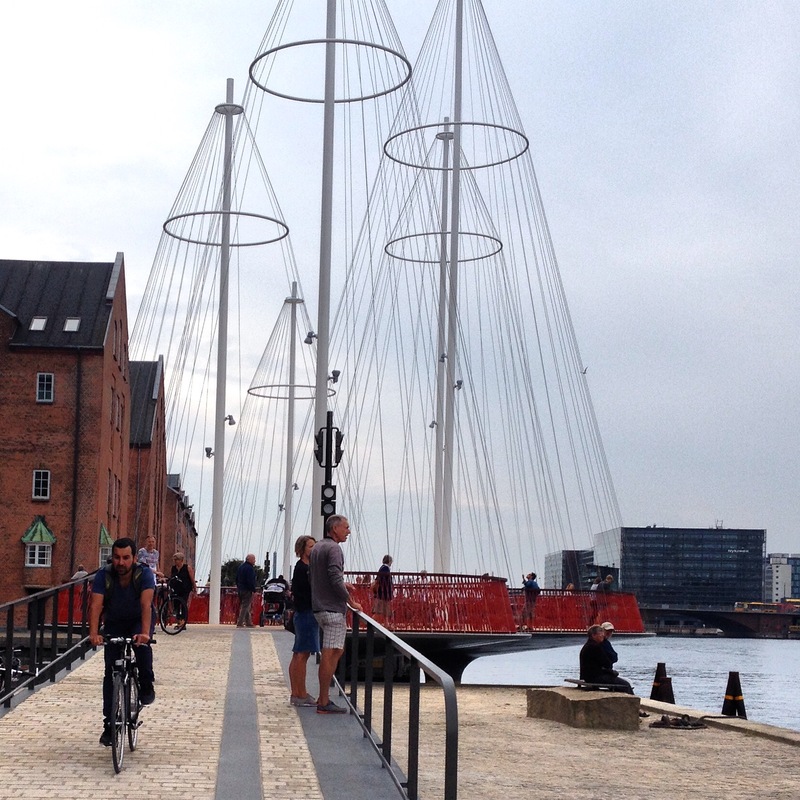 Discussing Copenhagen’s public space plan in a blog post is impossible, so I’ll stick with 3 projects I recently encountered. Firstly, Copenhagen Street Food is a foodie’s dream; an eclectic arrangement of food carts and microbreweries located in an old warehouse, specializing in eco/ veggie-friendly alternatives. While only a temporary space, it has become one of the city’s most popular spots in this food-focused city. It will be interesting to see if its license is prolonged, or if the concept moves elsewhere. Secondly, Copenhagen is a water city, and as wonderful as this is, it makes cycling or walking more difficult. The city thus invested in foot/cycle-only bridges, making these transport modes more convenient. One bridge recently opened, Olafur Eliasson’s Cirkelbroen, is both transport infrastructure and urban art, playing to the city’s nautical heritage. It invites people not just to pass over it, but to stop and enjoy the bridge and the city. 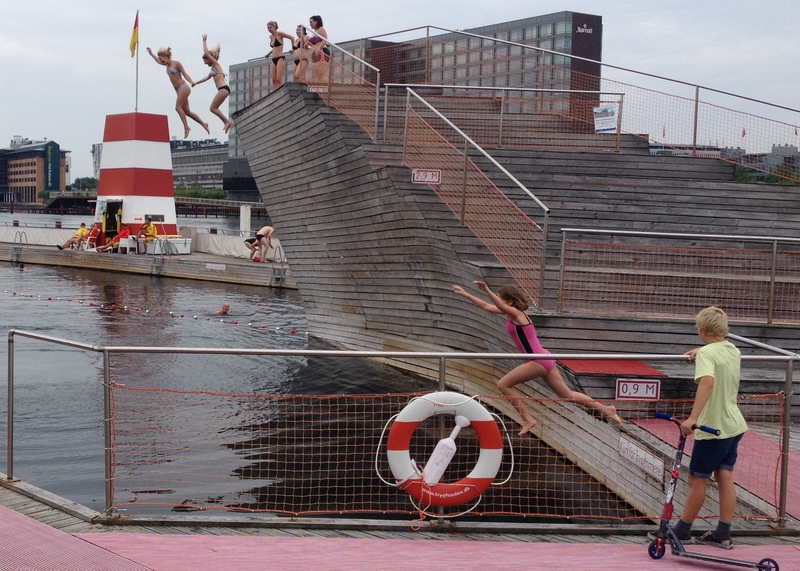 Copenhagen also has several outdoor swimming pools, built directly on the sea. It is proud of its excellent water quality (as it should be) and encourages citizens to enjoy the water, by boat, kayak or with a plunge. 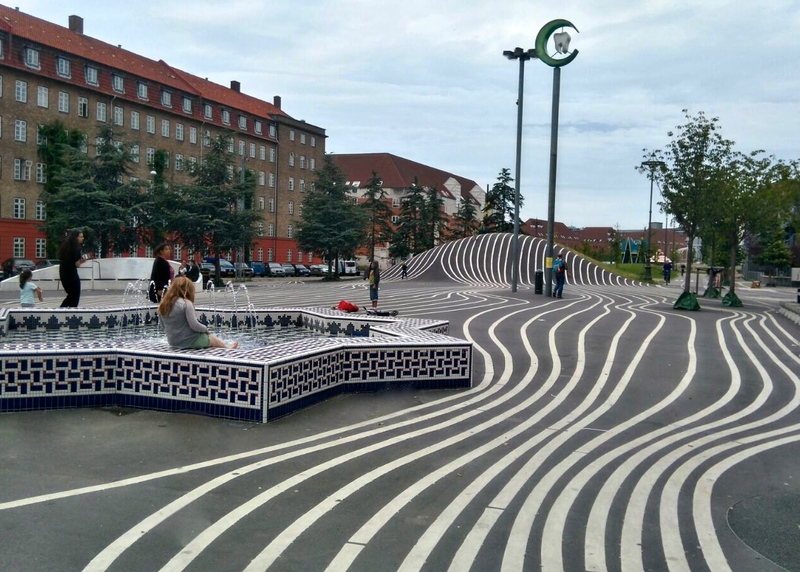 Thirdly, I visited Superkilen (or Den Røde Plads) in the Nørrebro district. This city square and its surrounding public spaces (located in a formerly crime-infested area) were part of an urban improvement project. 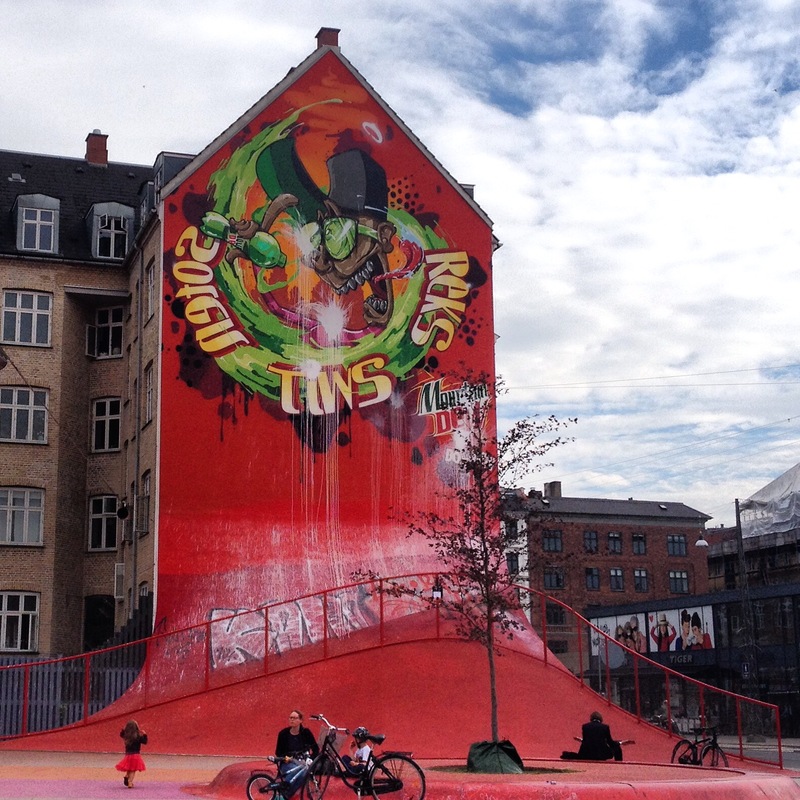 This project attempted to rid the district of its dubious reputation by transforming its public spaces into vibrant (and safe) community spaces that local residents and other Copenhageners could be proud of. 50 different nationalities. For example, the district’s benches are from Brazil; its fountain is from Morocco, and a Thai boxing ring is on site. Focusing on the color red, it also includes urban art and activity spaces. Superkilen has become popular both with local residents and tourists who come to explore or to linger – a clear transformation from its former state. Finally, as people migrate to cities, finding a balance between public urban life and private home life is important. 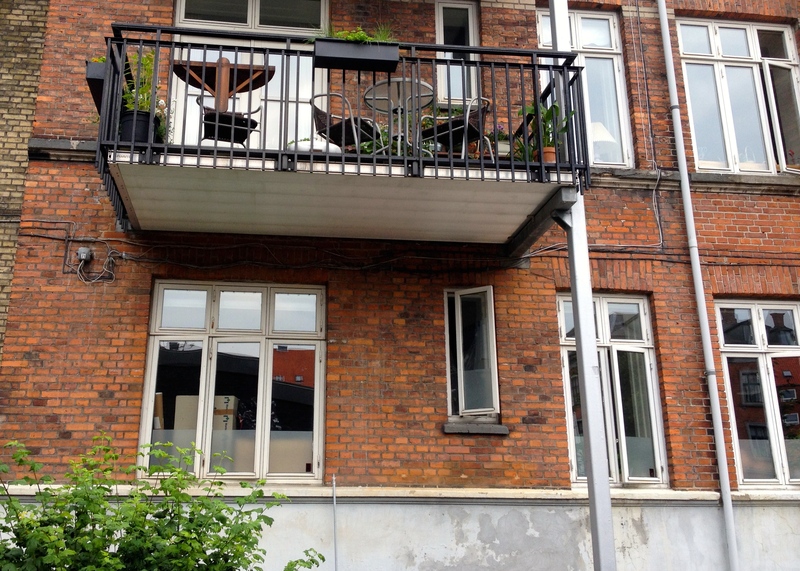 Most Copenhageners (and other urbanites) are accustomed to apartment living, however they increasingly desire a bit of their own (private) outdoor space: a balcony to grow herbs or vegetables, to host a barbecue, or to take in the afternoon sunshine. While newer apartment buildings are designed with this in mind, many older flats were built before balconies became as popular. To address this, several Danish companies (e.g. 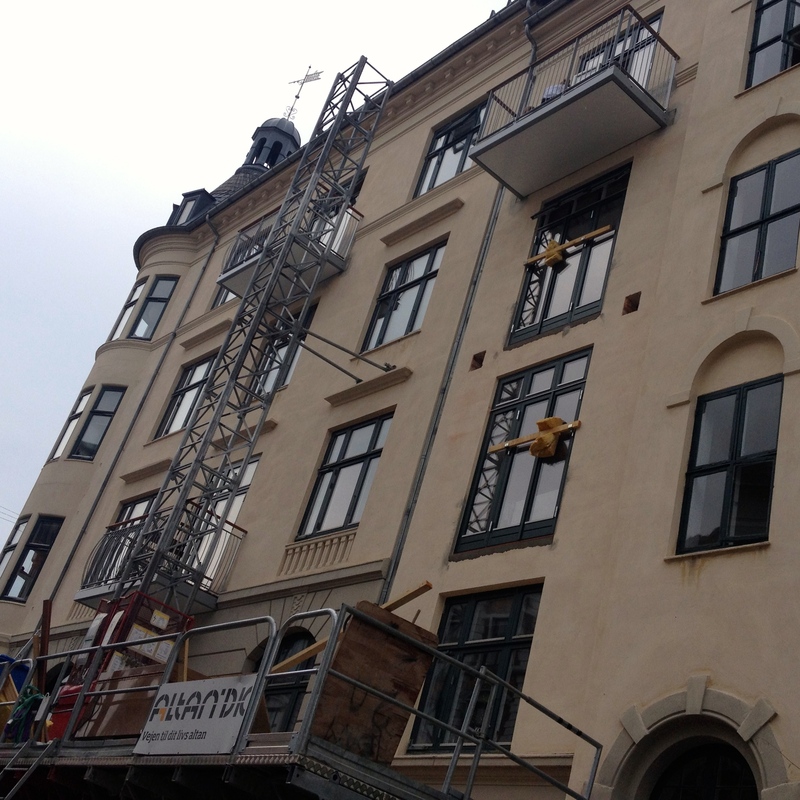 Altan) design and build balconies, attaching them to the exterior of existing buildings. Before such balconies can be built, a building’s soundness and foundation are checked, as well as the aesthetic properties of such additions – in other words would they add or deter from the existing public space, especially considered on historic buildings. If both of these categories are approved, and there is resident interest, balconies are constructed. They incorporate different designs, best suited to the building’s style and structure, while adding new life to the apartments and the streets below. Thank you for sharing your thoughts. My husband is an urban planner so I am sure he will be interested in reading about it. Thanks!